The AVI (Audio Video Interleave) format is a higher-end video format first developed by the Microsoft Corporation. The format is minimally compressed resulting in high video quality, but large file sizes. 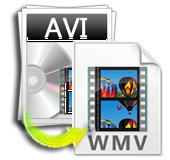 The WMV (Windows Media Video) file format is supported on a greater number of software platforms and saves disc space when saving video content. A common task that arises for Windows users is to convert AVI to WMV which can be accomplished using free software or web applications. Step 2 – Click the “Upload a File” menu link located approximately half-way down the web page. Step 3 – Select the “Choose File” menu button and use the website’s file chooser to pick the AVI file to convert to WMV format. Step 4 – Choose “WMV” as the output video format for the file conversion. Step 5 – Select the “Start” menu button to initiate the file conversion process. Step 6 – After file conversion is completed, select the “Download Link” to download the converted file to your computer. Step 1 – Launch your computer’s web browser and then open the ZamZar.com website. Step 2 – Select the “Choose File” menu button and select the “AVI” file using the website’s file chooser. Step 3 – Choose “WMV” as the desired file output from the video conversion and enter a valid email address. Step 4 – Click the “Convert” menu button and the ZamZar website will send an email with a link to download the converted file. WM Converter is a popular and easy-to-use video conversion application available as freeware. The software package supports conversions, splits, and merging files store in popular video and audio formats. Step 1 – Download and install WM Converter 2.0 on your computer. Step 2 – Select the “Input Files” menu option and use the application’s file chooser to select the AVI file that requires conversion. Step 3 – Click the Down Arrow by “Other Formats” and choose the WMV format. Step 4 – Click the “Convert” file menu button to start converting the AVI file to WMV format. Step 5 – The converted file will be saved as the original file name plus have the WMV file extension when the conversion process is complete. After conversion, the output file name will be displayed in the “Converted File Name” column of the application’s conversion list and can be tested by double clicking the file in Windows Explorer. 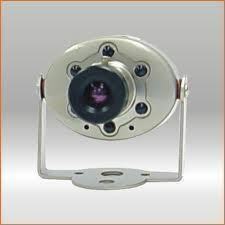 The following is a list of popular freeware tools that will help to convert AVI to WMV. WinX Free AVI to WMV Converter: Converts AVI to WMV, and also supports extracting JPEG and BMP images from AVI videos. Any Video Converter : Convert between multiple video formats. The user will get a hang of the interface in a very short time and its simplicity, speed, and conversion quality are considered high-end. The software is now available on Mac’s as well as Windows computers. Koyote Soft Free Video Converter: A tiny application for converting multiple formats. Be careful not to install the toolbars if you are asked to do so (unless you enjoy additional ones in your web browser). The interface is not as great as it could have been. You may also try iDealshare VideoGo which can convert AVI to WMV, MP4, MOV, 3GP, MKV, VOB, MPG, DV, RMVB and etc on Mac or Windows. Thank you very much because I needed to convert an avi file into a wmv one and the Any Video Converter worked really fine for me. Easy to download, to install and to use! That would depend on the software you used to convert. There might be some advanced options to control the size. YouTube supports various formats and sizes though so you don’t necessarily need a smaller file. You can just upload as is (probably better with the AVI even instead of WMV). 323 queries in 0.375 seconds.